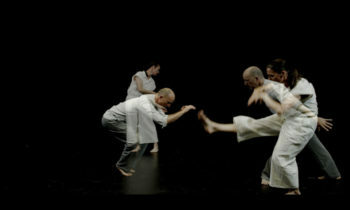 As an installation artist and writer, my interest in memory, consciousness, and the experience of profound affect in the encompassing aesthetic environment is expressed in my immersive, large scale video work ‘Ghosts of Noise’, an installation in the upcoming exhibition The Model Citizen (8 Feb – 23 March) at RMIT Gallery. My installations include multiple elements of imagery and sound to create encompassing environments, frequently incorporating the manipulation or distortion of time. ‘Ghosts of Noise’ is a reaction to, and comment on, the ‘aesthetics of the machine’, in this case the machine being the information delivery complex. In media theory it locates itself in, among others, McLuhanism, Hannah Arendt’s writings on the effects of modern technology on humanity, Walter Benjamin’s ‘fragmentation of political discourse’, as well as the tensions between the revealing and concealing of truth. Some time during the course of the current world crises, I became interested in news and its relationship to the politics of experience. The cyclical nature of 24-hour news, alongside the multiplicity of distribution formats, combined to produce ever-increasing layers of disturbance, streams of facts, figures, voices and faces that layered themselves one upon the other to produce an omnipresent ‘noise’. The more aware I became of the ‘noise’ of information-delivery in my environment, the more the pressure, level, and tension seemed to build in my inner self, mind and ear. The only means of freeing myself from this phenomenon was to undergo a form of exorcism. I recorded a multitude of newscasters from the widest assortment of news channels available to me. I then layered the images one over the other. 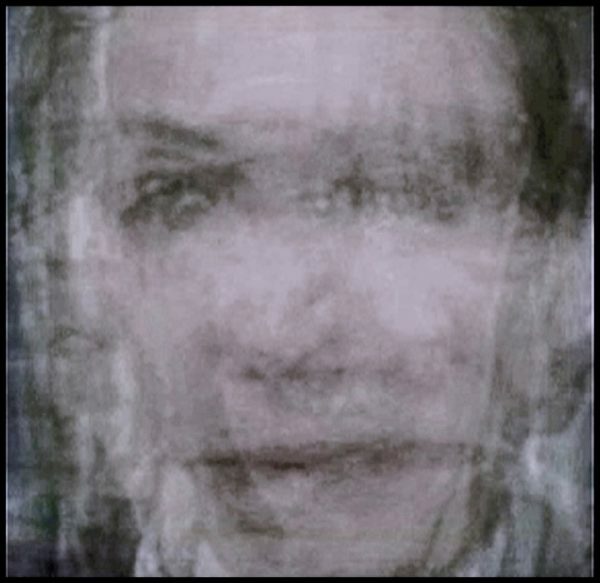 The central panel in this exhibition, ’Blend’, comprises twenty (20) channels of male & female newsreaders, newscasters, and correspondents with two hundred and fifty-six (256) layers of voices drawn from newscasts. It is combined with ‘Static’, which comprises twenty four (24) layered news channels and ninety six (96) layers of news broadcasters’ signature themes. The left and right hand panels are ‘Female’ and ‘Male’ respectively, and both works have accompanying two hundred and fifty-six layer voice-based audio soundtracks. The works exists in a number of different iterations, and are updated with new material on a rolling basis, with each iteration providing a fresh reading of the media zeitgeist. In my art practice research, among other affects I am exploring the role that threat and stress have to play in the production of profound experiences with encompassing art. Stress and fear play a significant role in the construction of heightened aesthetic experiences. The cathartic and epiphanic are more likely to be experienced when we are slightly off-balance. Part of the aim of ‘Ghosts of Noise’ is to produce the sensory overload that drives the viewer, through the stress of the incessant, pervasive, diurnal cycle of media ‘noise’, to a place of stillness and realisation. When invited to create a work for The Model Citizen exhibition, the brief from the curators Sean Redmond and Darrin Vergahen was to produce work that explored “how citizenship is itself crafted out of forms of selfhood and belonging that are represented to be ideal or exemplary”. We were invited to ‘reshape and remake’ this world, and through the act of consciously (re)modelling, produce art that in itself becomes political life. The curators have stated that as creative and critical stakeholders, artists have a central role to play in shaping public life. The Model Citizen isn’t intended to just creatively comment on the politics and poetics of the model citizen, but to offer up ways of transforming the processes of citizenship itself. 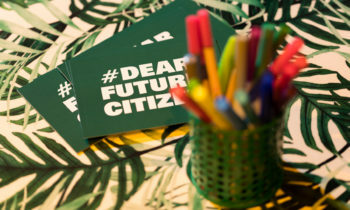 What does model citizenship mean to me? Model citizenship exists in the tension between compliance and subversion, in the friction between individual integrity and the needs of the state. Model citizenship lives in the unflinching resolution of the needs of the Other in the face of the needs of the Self. Model citizenship is the rigorous examination of conscience and the acceptance that the road of non-conformism may be the lonely, challenging but necessary path. Model citizenship is nonviolent resistance, civil disobedience, love, grace, the exercise of agency, infinite compassion, and respect. 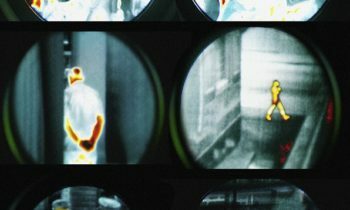 The Model Citizen is prepared to confront the aesthetics of the machine, and willing to deconstruct cultural paradigms to reshape them in the service of equality and freedom. As the philosopher Hannah Arendt once said, “Courage is indispensable because in politics not life but the world is at stake.” Model citizenship is the exercise of that courage. The Model Citizen experiences the stillness inside the noise. 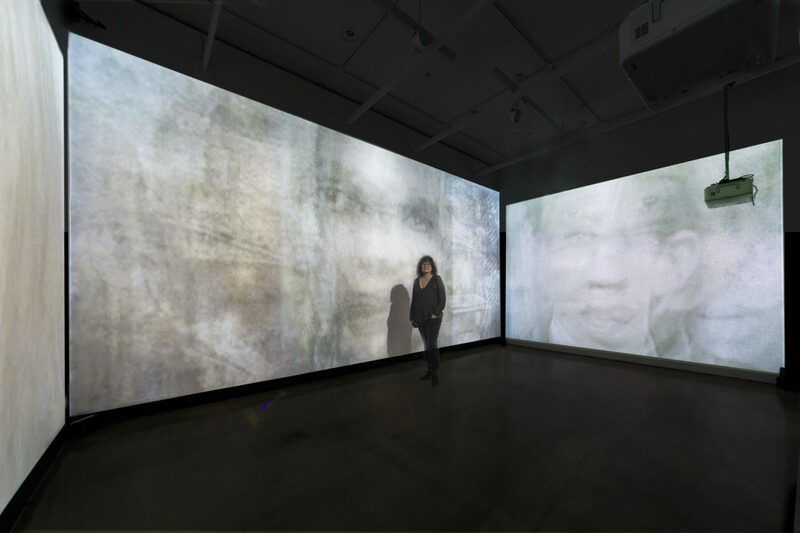 RMIT alumnus Sadia Sadia is a Canadian-born UK-based installation artist working across a wide variety of media, including sound, still and moving images. Her creative practice-based PhD research examined the key drivers of the cathartic, epiphanic or transcendental experience within encompassing installation artworks. Sadia is also an award-winning record producer and writer, and was among the first women in the world to be signed to a major label as a record producer. As an installation artist, her works include multiple elements of imagery and sound to create immersive environments, frequently incorporating the manipulation or distortion of time. Her work can be found in a number of internationally significant Australian permanent collections. 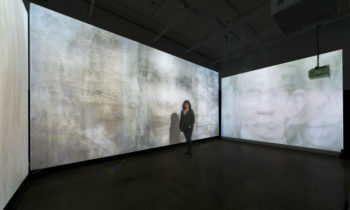 Preview Image: Sadia Sadia, Ghosts of Noise, 2009-2019, three-channel video installation (still), with eight-channel audio, duration: 20:00 loop. Photograph by Margund Sallowsky.